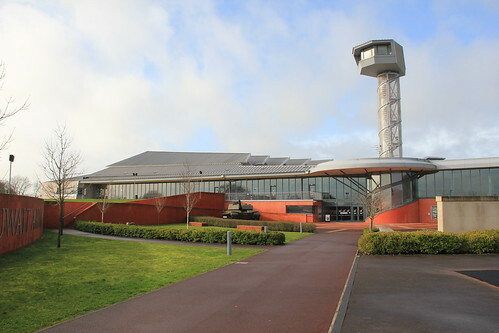 Above is a picture of the front of the tank museum at Bovington, which I visited last week. Strangely, Patch did not seem inclined to join me in this particular adventure. I'm not sure why! Anyway, I've seen signs for the tank museum many times when travelling down towards the south west, for various reasons, over the years, but I've not really made the time to go visit before. The museum was on our list of things to see and do while we were in the Poole area - because I could. I was expecting a decrepit collection of rusty old tanks huddled in and around WWII era nissan huts, or similar, but no, the building you see is it - the Tank Museum. A really pleasant surprise. There are a few tanks on display dotted about outside, but all the good stuff is inside, in warm, modern accommodation, with a great restaurant for that all important cuppa when the need arises. Things only got better once I had paid for my ticket (which is valid for an entire year) and got inside. The entire history of tanks from the very first creation, all the way up to the modern day battle tanks is particularly fascinating, brought to life by a particularly well informed tour guide. After a few hours I was pretty much tanked out, but will definitely be back for more before too long. An amazing day, and well worth the visit. We were pottering around Poole harbour a bit more on the weekend, this time up towards Wareham way. We had worked Arctic Rose some way up the Wareham channel, but a falling tide, depths shoaling and a keen desire to avoid going aground meant we did not make it all the way into Wareham. Did I mention that the tides in Poole are really weird? Look here, for a graph of the tides, to see what I mean. 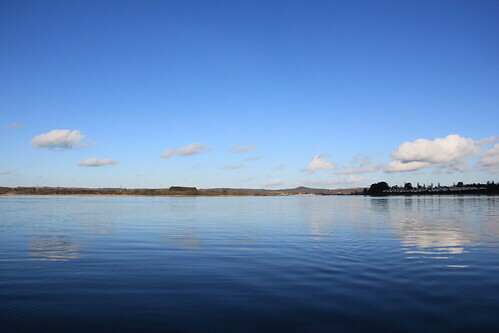 We still have several things to check off on our list of things to do in and around Poole, including exploring even more of this vast harbour, both in Arctic Rose and by kayak. 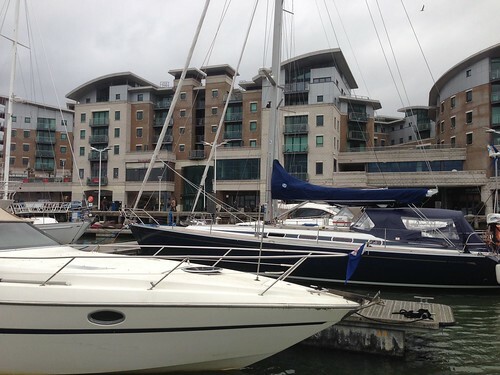 Of course, now we are in Poole we have the chance to explore while the weather is not conducive to sailing. 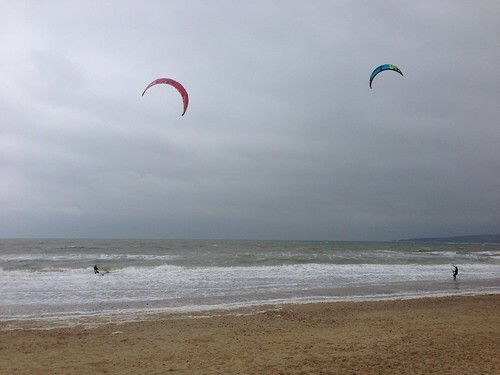 Here are some folks who relish strong winds, taking maximum advantage of the conditions. It's been a somewhat busy time, what with one thing or another, since my last post. So I'd like to take this opportunity to say happy new year to everyone. On the boating front, we have not had the time or weather to do much. With glorious weather on the Saturday just gone, we took the opportunity to take Arctic Rose out of Poole harbour and spent a glorious day in the sunshine anchored in Studland bay. We also took the opportunity to move Arctic Rose to a marina right by the old town. We are now alongside at a marina which is literally just across the road from a Tesco's express, just visible in the picture, which, somewhat conveniently, has a deli which does the most wonderful coffee and cakes just next door to it. There is nothing like being anchored up overnight in a tranquil stretch of water someplace, but being alongside with a convenience store and a deli immediately to hand is not to be sneezed at.